On September 17 the Ministry of Defense of the Russian Federation held a briefing for members of the press to present documented new evidence that the Ukrainian armed forces helped to bring down the Malaysian airliner that was flying over the Donbass in July 2014. According to information that was preserved on the wreckage of the missile that was found at the crash site and exhibited by the Joint Investigation Team (JIT) on May 24, 2018, Russian military investigators were able to read the unique, identifying numbers printed on the missile’s nozzle and engine. It was determined that the missile had been made in the Soviet Union in 1986. Documents were presented at the briefing from the manufacturer’s archives, as well as a log book that was classified as Top Secret, which registered the missile’s arrival at a warehouse belonging to a military unit near the city of Ternopil in what was at that time the Soviet Republic of Ukraine. “The missile, which bore the imprint of military serial number 886 847379 and was manufactured for use in a Buk anti-aircraft missile system on December 29, 1986, was shipped by rail to military unit 20152. It was not returned to Russian territory after the collapse of the Soviet Union, but was instead added to the arsenal of the Ukrainian armed forces. It is worth mentioning that since 2014, that unit has often been used as part of what has been called the anti-terror operation inside the Donetsk and Luhansk regions of Ukraine,” claimed Nikolai Parshin, the head of the Russian Defense Ministry’s Missile and Artillery Directorate. The man who can be heard speaking on the tape has been identified. 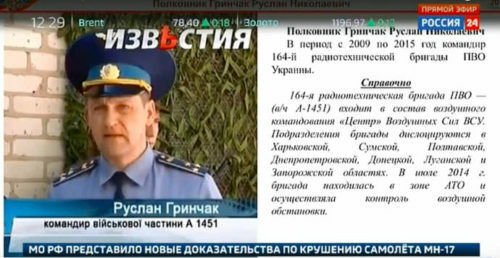 He is Ruslan Grinchak, a colonel in Ukraine’s armed forces, who in 2014 was the head of the 164th radio engineering brigade that controlled the airspace over the Donbass. 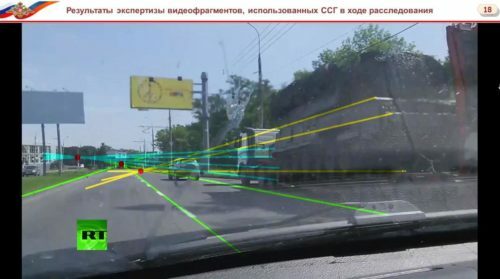 Experts from Russia also examined the Joint Investigation Team’s videos, which illustrate the supposed route taken by the Buk air-defense system through Ukrainian territory. Those videos showed signs of having been tampered with, as indicated by the numerous violations of the laws of linear perspective and the way light is projected, in addition to signs of the use of some techniques that are commonly used in computer animation. Now that these materials have been made public, it is imperative to — at the very least — closely reexamine the events that they affect. Will the JIT agree to take a serious look at them? The commission has previously rejected any offer of cooperation coming from the Russians. In 2015, the Russian company Almaz-Antey conducted an experiment that used the information about the damage to the airliner’s hull to accurately calculate its location in the skies with respect to the missile at the time the warhead exploded. That made it possible to determine the trajectory of the missile’s flight and to establish the area from which it had been launched. Those calculations pointed to somewhere in the vicinity of the village of Zaroshchenskoye, which was at that time under the control of the Ukrainian military. The JIT did not examine these materials as part of its work. The commission operated under the control of British intelligence forces and it was not allowed to deviate from the prescribed anti-Russian line of the investigation. Not even the recordings from the black boxes (the most important piece of evidence) have been released. After spending several years being “decrypted” by British experts at the military base in Farnborough, the JIT shrugged them off with a brief message that they “revealed no signs of any technical faults or an emergency situation” inside the Boeing 777’s cockpit. And yet those voice recorders might contain information that would shed light on the circumstances surrounding the disaster. The version of the incident proposed by the Almaz-Antey company suggests the possible existence of two terrorist perpetrators, who were being used to ensure the guaranteed destruction of the Boeing 777. If the first attempt to shoot down the plane was unsuccessful, or not entirely successful, then the pilots’ reaction that was recorded by the black boxes would explain quite a lot. The two-perpetrator version of the event speculates that the airliner was fired upon by a Ukrainian SU-25 ground-attack aircraft under the command of Captain Vladislav Voloshin. The fact that that officer was presented with the Order of Courage the very next day, before becoming deeply depressed and committing suicide in March 2018, makes this version look much more plausible. Perhaps there was indeed some kind of “emergency situation” onboard the Boeing 777, and this is why the black box recordings have not been duly released? 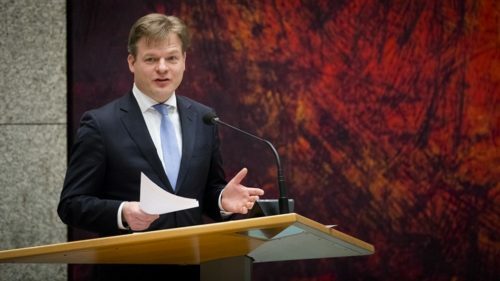 The JIT dutifully followed its British orders until January 22, 2016, when the news broke about the speech made by Harm Brouwer, the chairman of CTIVD (the Dutch Review Committee on the Intelligence and Security Services), in the Dutch parliament. 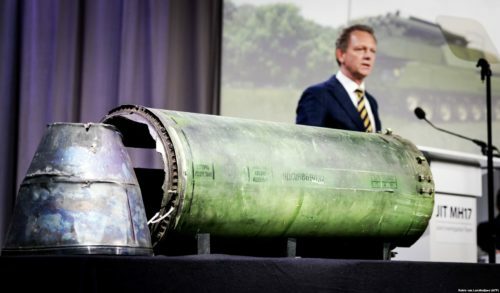 Brouwer offered an account, according to which on the day flight MH17 was downed there were no missiles present in the area of the disaster, except for Ukraine’s Buk systems. The Dutch media initially “overlooked” this bombshell and it would have remained buried forever, had it not been for a tweet by MP Pieter Omtzigt. To prove his point, Omtzigt attached a photograph from one page of Harm Brouwer’s report. Afterward many Dutch media outlets proclaimed their willingness to take their own government to court in order to be allowed to see all of the investigation materials. The JIT was faced with a choice: to follow the instructions of the British intelligence services, which would eventually push them into a very unpleasant corner or to choose to take a different stance. Another motivating factor was that the primary injured party — Malaysia — was beginning to press much harder on the JIT to conduct an objective investigation. 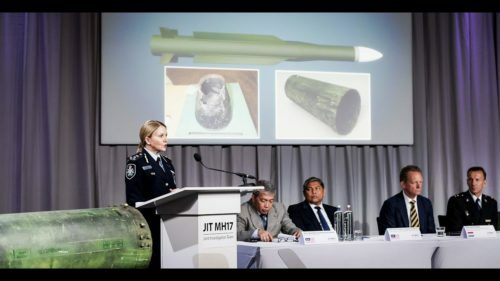 Last May, Malaysian Transport Minister Anthony Loke described the accusation that Russia had shot down flight MH17 as unproven, and this was not the first statement of this type by Malaysian officials. And then something happened that very few people had expected: the JIT agreed to take a look at Russia’s materials! Although they did add the proviso that the examination would take time. At that point, Poroshenko’s behavior proved how concerned Ukrainian officials were, now that they felt threatened by exposure as the investigation into the tragedy of flight MH17 progressed. That crime could not have been committed without his consent, and literally two days after the briefing conducted by the Russian Ministry of Defense, a decree by Poroshenko took effect that severed the Treaty of Friendship, Cooperation, and Partnership with the Russian Federation. And to top it off, at the very same time the former head of Ukraine’s Security Service, Valentyn Nalyvaichenko, suddenly announced his candidacy for the office of the president of Ukraine. This event offers a compelling reason to believe that Washington decided to abruptly speed up the preparations for Poroshenko’s replacement, should he not do well in the upcoming elections. Given these developments, one question remains. If the true picture of the events surrounding the downing of the Malaysian Boeing 777 in the skies over Ukraine is emerging with such clarity that even the primary actors understand the futility of further attempts to conceal it, then what will Europe do about Kiev? Under certain circumstances, support and recognition are equivalent to complicity. This article was posted on Tuesday, September 25th, 2018 at 8:07pm and is filed under Malaysia, Russia, The Soviet Union, Ukraine, United Kingdom.